New York, New York… the city so good they named it twice! 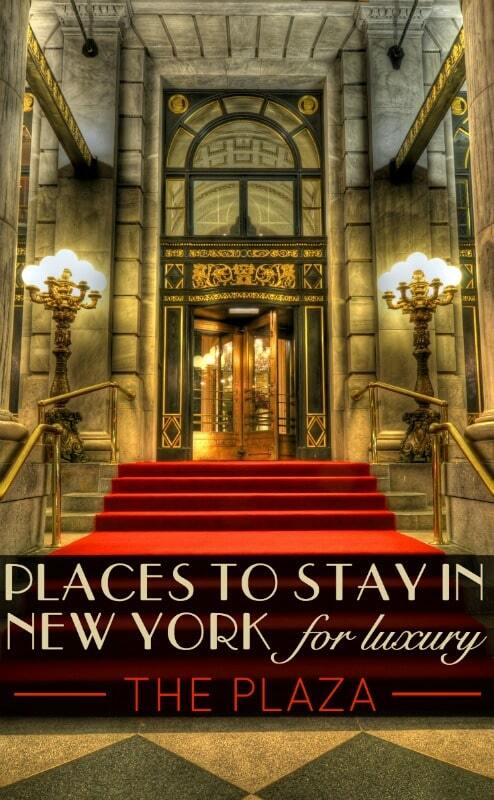 Boasting more than 100,000 hotel rooms in the city, it’s not difficult to find a hotel for the night, but where to stay in New York for a luxury break? Well that’s a wholly different question. With so much to see and do in the city that never sleeps, finding a base that is well situated and earns itself kudos for fine service and having great views inside and out, can be challenging. From the urban cool of boutique apart-hotels to accommodation dripping with opulence, we reveal some of the best options to suit every luxury traveller and tick all the right boxes. Still planning your stay? View our guide to places to go in New York for some ideas on how you can make the most of your city break. Compare New York flight prices now. New on the top New York hotel scene, the Baccarat blends French sophistication with the edge of Midtown living, and is only steps from the Museum of Modern Art. A masterpiece in itself, the hotel’s 114 guest rooms have been perfectly crafted for elegance, while its signature dining and spa experiences are star attractions. And if that’s not enough, the 55-foot marble swimming pool styled on the Cote D’Azur will certainly wow the most discerning of travellers. An exquisite hotel overlooking Central Park on Fifth Avenue, The Plaza is the ideal place to stay in New York if indulgence and grandeur are at the top of your list. White glove service ensures every guest need is taken care of, while in-room iPads allow guests to take control of their experience. The castle-like landmark also features a spa and boutique shops, all in the Beaux Arts styled décor found throughout the hotel. This hotel can only be summed up as sleek and modern, but without the designer price tag. 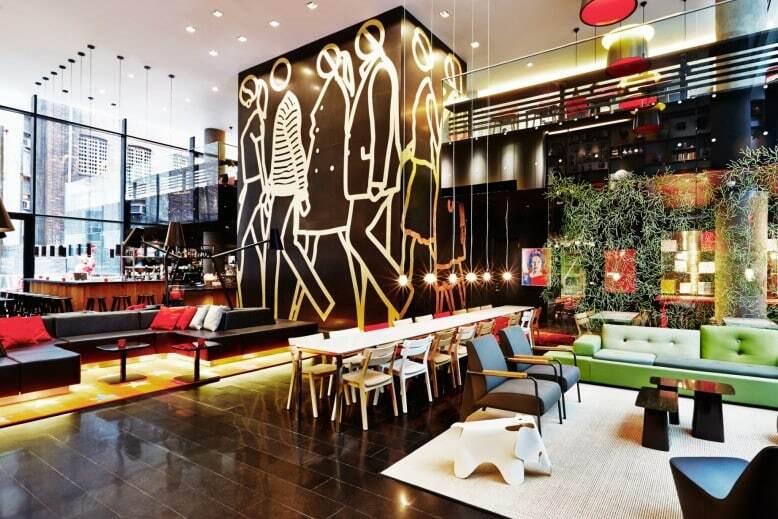 Comfort and convenience are central to the guest experience with a large lobby area to relax in, while wall art from the Pop Art movement adds splashes of colour to the guest experience. With wall-to-wall windows, extra large beds and in room iPads, the attention to design and experience does not go unnoticed at this hotel in the heart of Midtown Manhattan. A listing of New York design hotels wouldn’t be complete without one based in Soho. The Crosby is the first American venture for British design icon Kit Kemp, famous for her creations in the London hotel world. Each room is one of a kind with custom designed fabrics and original artworks. Book a Crosby suite for stunning views, luxury features and services including in-suite check-in and unpacking/packing service to leave more time for sightseeing. What’s more it claims to be one of the most environmentally responsible hotels in the US. Chandeliers, marble counter tops, leather headboards and plush bedding are some of the elements that bring boutique chic at this hotel. Enjoy the discreet luxury of this award-winning hotel, with its inviting warm and rich décor and personalised service for an unforgettable stay. And the best way to see New York is from above, so the hotel’s Haven Rooftop should be one of your first ports of call. 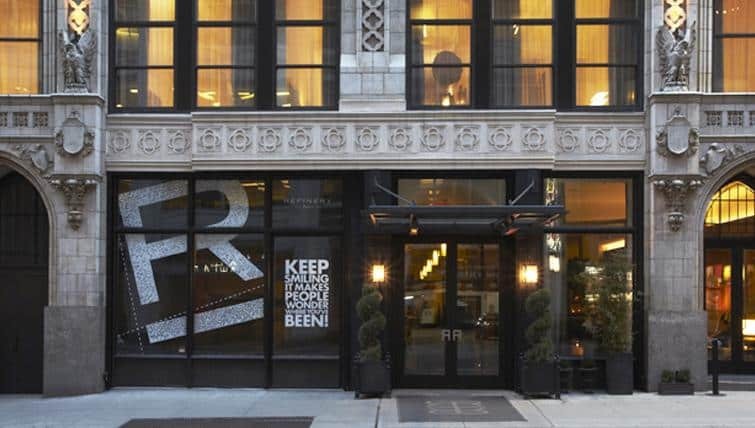 For urban adventure and cool design, check-in to the Hudson Hotel. Exuberant, energetic and unpredictable, every turn in this hotel brings a new visual delight. A ski-resort themed bar is adorned with taxidermy and faux fur throws and its English garden affords views of the Big Apple’s twinkling lights. Guest rooms feature African wood-panelled floors and walls, making the whole experience something of a worldwide adventure. Recently refurbished, the legendary Lotte Palace is where old meets new, with a prestigious heritage dating back to the 1800s. So opulent is this Midtown hotel, that it has appeared in numerous hit US TV shows for its luxurious setting and authentic New York feel. The comfortably spacious rooms have been updated with modern touches, and field great views of the city including St Patrick’s Cathedral and the Rockefeller Centre. Perhaps the most iconic luxury hotel in New York, the Waldorf Astoria is steeped in history – it is even famous as the place where the Waldorf Salad was born. 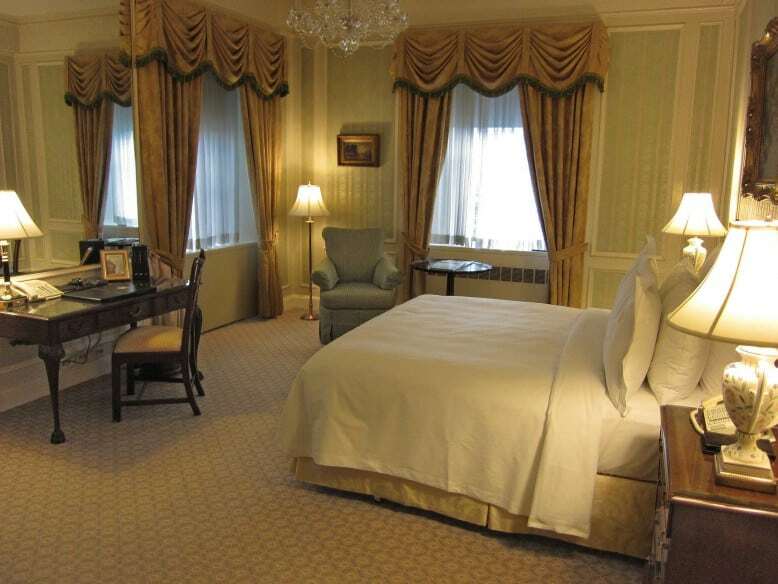 A landmark art deco hotel, the Waldorf has been providing elegance and finery to its guests for more than a century. You would be forgiven for thinking you had stepped back in time here. 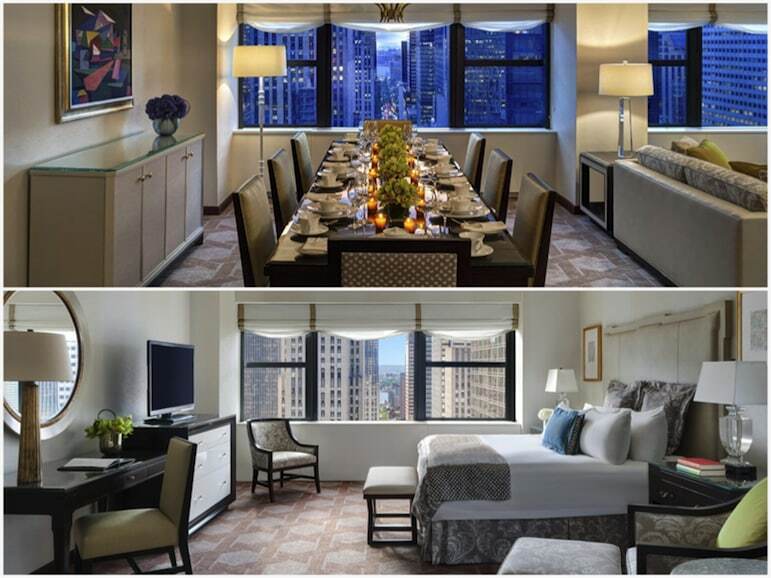 With lavish rooms and five-star dining, its Park Avenue location is perfect for Broadway shows, Fifth Avenue shopping and New York’s other star attractions. In the heart of the fashion district you are likely to stumble upon an array of hotels oozing with sophistication. The Refinery Hotel has it all. A combination of vintage and new, it’s where a prohibition style lounge contrasts with the artisan bar and restaurant, Refinery Rooftop . Chic design and with accents drawing on its industrial past, all features have been carefully considered to fulfil all guest needs from the simple to the more high-brow. A book lover’s haven, the Library Hotel takes textbook features of hospitality and reinvents them with its own air of cool amid literary-themed surroundings – it couldn’t get much smarter. Guests can delve into a good book from the hotel’s collection of 6,000 or simply relax in the aptly named Poetry Garden Terrace, Bookmarks Lounge or Writers’ Den. As for luxury, it has that too. Rooms feature rich wood furnishings, sleek fabrics, an impressive DVD collection and the hotel also provides a turn-down service. Before you check-out be sure to check-in at the complementary wine and cheese reception held at the hotel every evening. 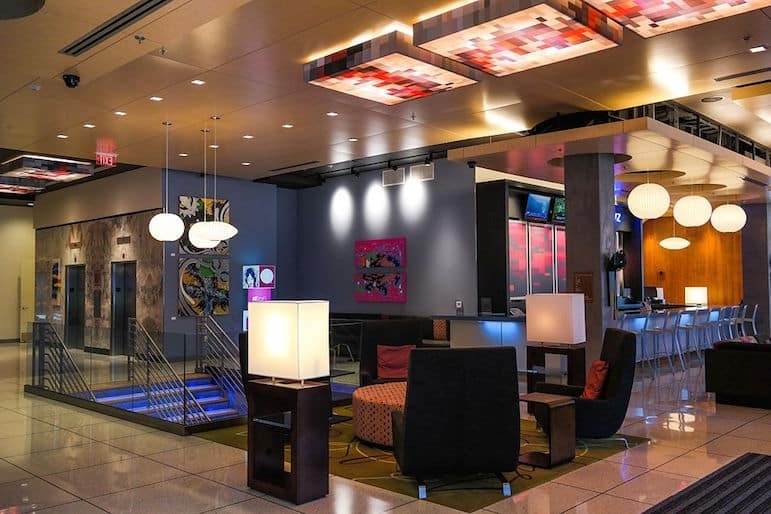 Gadget fans will love Aloft New York Brooklyn. A new design of affordable hotel, everything is built on technology. With keyless technology and robot butlers, it’s futuristic and sleek. With fast Wi-Fi throughout the hotel (no more buffer face! ), two televisions in rooms to cater for mixed viewing tastes and smart mirrors customised with features from your smartphone – the cutting edge technology is endless. 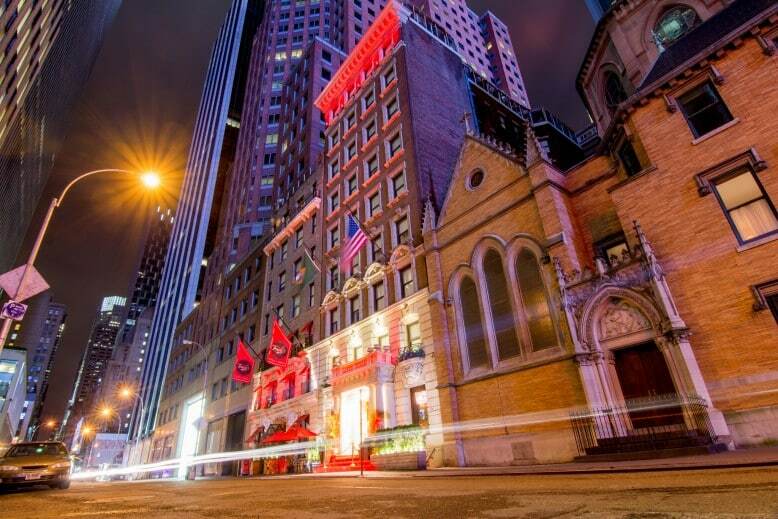 A rich heritage and warm welcome await at the Evelyn, formerly known as The Gershwin Hotel. Decorated in an art nouveau style, rooms are inspired by the musical and art heritage of the neighbourhood of NoMad (North of Madison Square Park). Plush beds, luxurious linens and walk-in rain showers are just some of the features which define your stay. 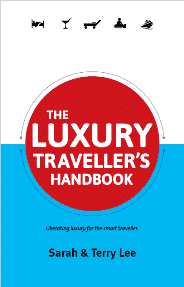 The Quin – built for the modern luxury traveller with avant-garde design and contemporary decadence. 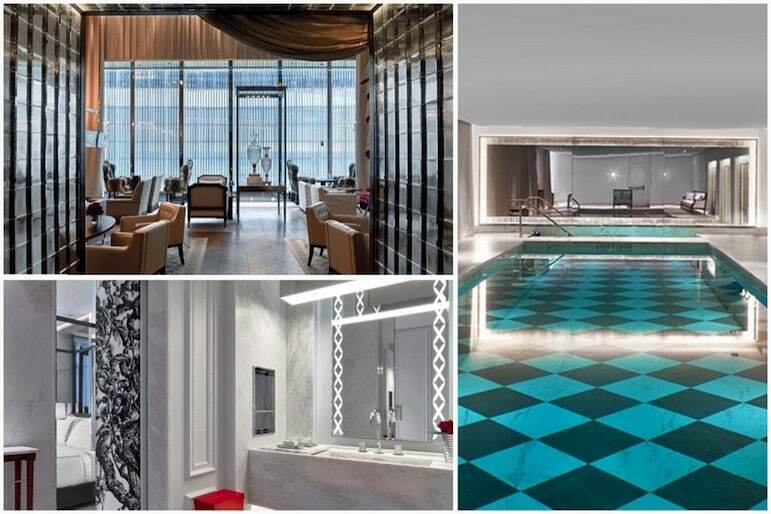 The Chatwal – a chic Art Deco hotel with suede interiors, whirlpool baths and butler service. 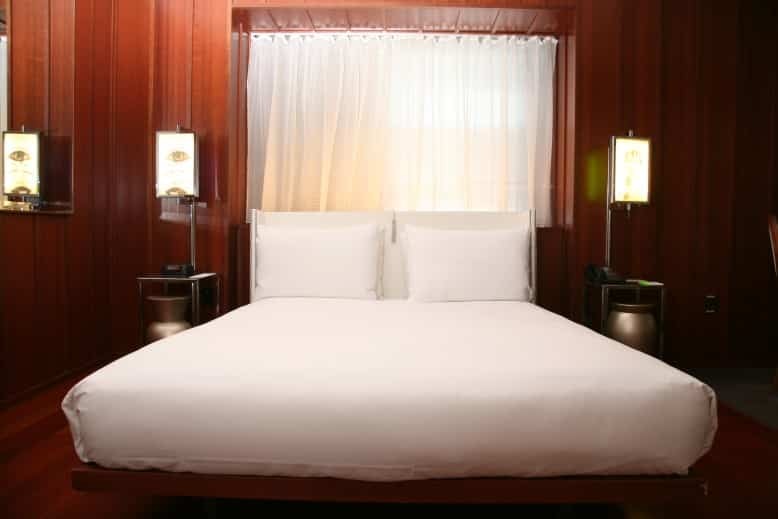 The Knickerbocker Hotel – a sophisticated urban sanctuary with neutral surroundings for understated elegance. 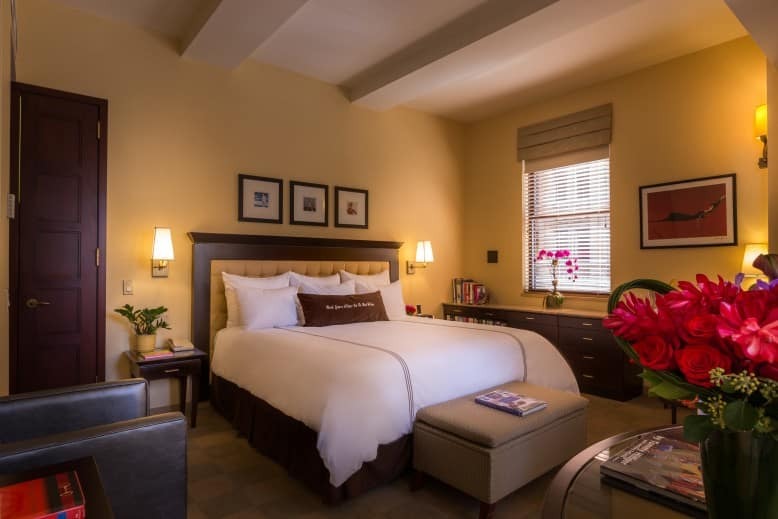 Casablanca Hotel Times Square – an intimate boutique retreat in Midtown Manhattan. Archer Hotel – luxury and artful invention translate into beautiful, large guest rooms at the Archer. 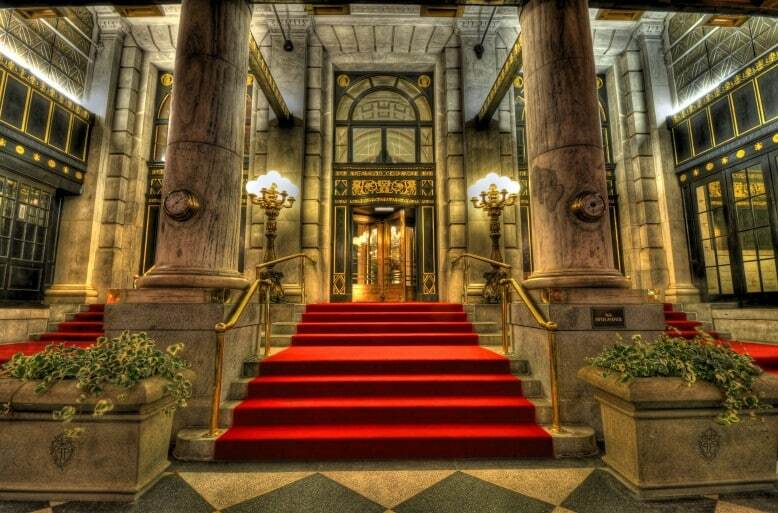 The Sherry-Netherland Hotel – a timeless classic with dramatic features, five-star service, and spectacular ceiling murals. Conrad New York – a luxury all-suite hotel in New York’s financial district with an impressive atrium displaying stunning artwork. Gramercy Park Hotel – a grand hotel in New York with hints of 1920s glamour including exclusive access to Manhattan’s private park. 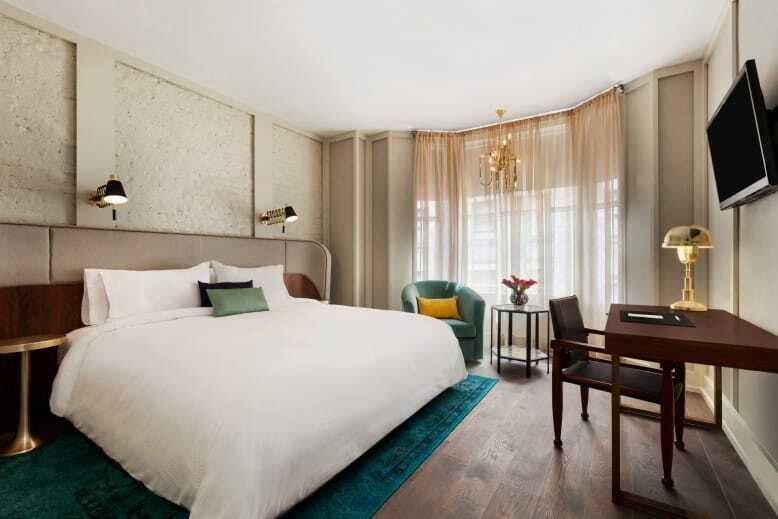 The Empire Hotel – an iconic hotel in a coveted location, featuring earthy tones and bold interiors. 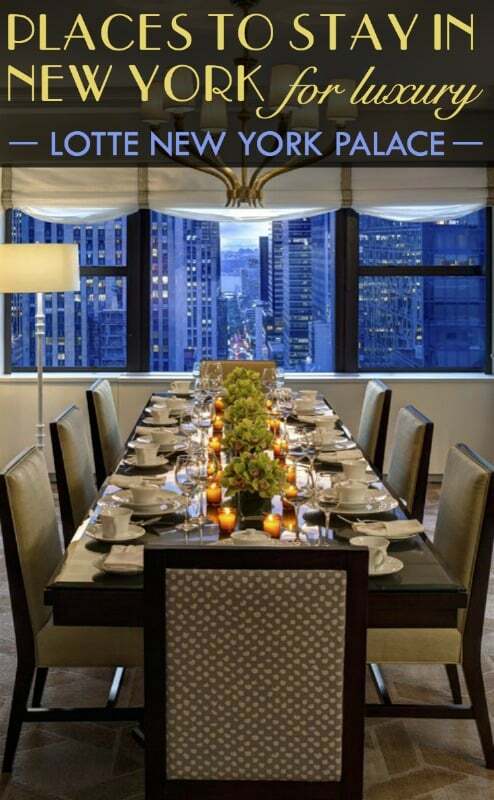 Four Seasons New York – home to one of New York’s best bars, spacious terraces and highly rated views of Central Park. Some images used here are licensed under Creative Commons 2.0: Mazarine Asia Pacific / Roderick Eime, Simon Law, Alan Light, Tony Guyton, and Creative Commons 3.0: Visitor7.